Videos have become a popular form of content consumption. Its ease of viewing, as opposed to reading, has driven video viewership into billions. This has not been lost on brands, big or small, who have doubled down on their video marketing efforts. Most companies today have a YouTube page and share videos on social media platforms, to maximise their viewership numbers and get that sweet karma in ad money and leads. The problem lies with the fact that everyone is making videos today which makes it difficult for brands to stand out. Alongside, it’s the lack of clarity while defining their video marketing goals. Most brands don’t know what they seek out of their videos: whether it’s to inform, instruct, promote the brand or to generate leads. They try their hand at everything, and in the process, lose on all fronts. It results in lots of wasted revenue, with minimal returns. 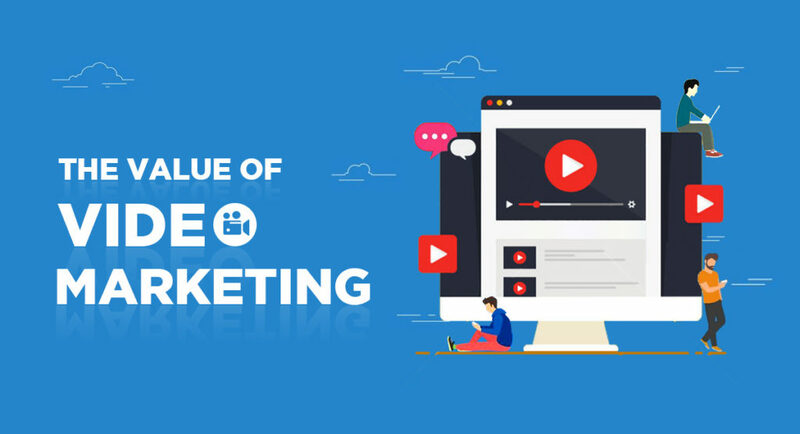 It’s more important than ever, for companies to introspect on their video marketing efforts and define their objectives. That’s step one. Once you know what your company seeks to achieve with videos, it is time for you to work on improving the video content. With this article, we hope to assist you with that. Without further ado, here are five ways with which you can improve the value of your video marketing. Ask any company about the purpose of its video marketing and it’s likely that the answers will range from branding to lead generation. While these are solid goals, the casual viewer gets blasted with such videos from millions of other brands. So, what does a brand have to do to make its video marketing count? Instead of instructing viewers, tell them a story through videos. A story helps in creating a connection with your viewers. When you tell stories about yourself that resonate with your viewers, it’s more likely that viewers get a better sense of what you have to offer and what your brand goals are. Google India has a video that’s a great example of storytelling done right. The video is about two friends, one in India and one in Pakistan, and their emotional reunion. The video pulls at our heartstrings, and by combining emotions, brand recognition and nostalgia, Google is able to connect with millions of people who miss their loved ones. At the same time, they subtly showcase their brand as a useful tool without drawing too much focus from the emotional connect. At the end of the day, the story you choose to tell is what people will associate your brand with. In the case of Google above, they showcase their strength as a brand that’s helping bring people closer through technology. In the last few years, you might have heard a lot about the lowering attention span of people across the globe. Numerous studies have been conducted by reliable and dubious sources alike, that cite that the average attention span for people watching videos is eight seconds. Well, that’s not true at all! That myth was busted by BBC last year1 in a report that highlighted that there was very little evidence put in the research. It also highlighted another interesting fact that people’s attention span varies depending on the task at hand. Today’s audience has a lot of content to filter through. A subpar video content won’t grab their attention when there’s so much quality stuff out there. To decide whether a video is worth watching, viewers make up their mind in less than a minute of starting a video. It emphasises the need to have a kickass introduction in your video, one that clarifies the purpose of the video and that it’s worthwhile of the user’s time. A thumbnail is the preview image that a viewer sees before watching the video. If you make it relevant to your video content and interesting at the same time, it’s sure to make some heads turn around. Think of thumbnails as the first impression. A thumbnail gives an idea of what’s going to come in the video and what viewers can expect. The below snippet is from the YouTube channel Nerdwriter1. He makes videos to discuss film, their technicalities and character studies. His video thumbnails give an idea of what the user can expect, without giving too much away. A study conducted by multiple publishers hypothesised that 85%per cent of video views on Facebook occur with sound off. Even though Facebook recently introduced a feature which allows audiences to control if the video will play with sound or without sound, it is important to keep the sound factor in mind. Your content should be engaging enough to interest audiences when the sound is off. Marketers should focus on creating compelling stories that can effectively transmit its message without the need of sound. If your users can understand the story you’re telling without sound, it will only add to the effectiveness of your video marketing. To truly capture user’s attention without sound, make your video visually appealing with correct subtitles added. Listed below are two videos. The first one was shared by Business Insider and the second one was shared by Tech Insider. Both videos don’t require the user to keep the volume on, to get the message. CTA’s (Call To Action) is a text or image that prompts your viewers to perform a certain action. CTAs are important in video marketing (or any marketing for that matter) as they guide your viewing audience towards the next step, in turning them into leads and eventually customers. The image below is a screenshot of a video shared by Vox on their Youtube page. Towards the end of the video, the CTA’s that appear are the Vox insignia (which takes users to the Vox Youtube page) and a video recommendation (related to the video just watched). These are both effective in their own way, converting viewers to interested subscribers. You can add CTAs towards the start of the video or in the middle, as well. Possibly the most important aspect for any video marketing content made by a brand, is its production value. Production value refers to the use of light, sound, visuals, props and camera, to enhance a content’s quality and value. If you look at the video content available across different platforms, a recurring theme observed is the high quality of these videos. Blame it on content saturation, but to get audience invested, you need to invest in a good camera and other studio requirements. The buck doesn’t stop there. After you have your footage ready, it’s time to edit it during post-production. Editing is a fine art and requires an eye for detail along with the ability to smoothen any footage. Both visual and sound editing are key to finding a diamond in the rough. A video editing tool like Adobe Premiere, Filmora & Stellar Phoenix, will really help you in spicing up your videos. Video marketing is crucial to your content marketing efforts and will yield you results, provided you use the right tips and tools. With the knowledge gained from our list, make your videos stand out in the crowd.